One of the recent trends beyond the use of succulents for drought tolerant landscape design is the use of Ornamental grasses in San Diego Landscapes. Nearly all of my customers tell me “we want low water and low maintenance.” Well, sure I then proceed to tell them that there a vast selection of ornamental grasses in San Diego landscapes to consider. A majority of these grasses are very low water. I’ve had experience with many in places without irrigation whatsoever. Sure, they may need supplemental watering to get established, but after that they can prosper pretty well in very dry situations. And as far as maintenance goes, all it takes is one time a year (generally in winter) to cut them back nearly to the ground. This way the dead, brown spent blades will be removed and you’ll have perfect new growth for the new year. This is very low maintenance. Other than some succulents, these grasses are an extremely smart way to go. And one variety I love, but hesitate to specify is Stipa tenussima – Mexican Feather Grass. 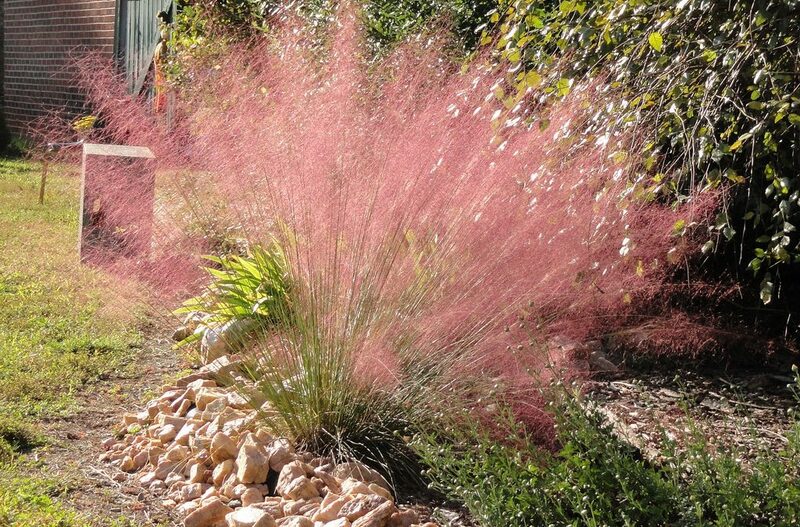 It is an extremely appealing plant visually and it offers such wonderful movement in the breeze. But as that wind is moving the grass this plant is sending out hundreds of seeds nearby. You’ll have a major maintenance nightmare unless you have an area you just simply want a meadow of this grass. Ornamental grasses in San Diego landscapes are a growing trend and as the cost of water continues upward the need for more and more un-thirsty plants will gain more interest. A wonderful resource to review many other ornamental grass varieties is John Greenlee & Associates. And for outstanding designs using Ornamental Grasses in San Diego landscapes, contact Letz Design Landscape for a consultation.